There is a new face of the African Renaissance, Femi Koya. Combining Afrobeat with West African highlife with a nostalgic Sophiatown flavour, and jazz, we find a rich blend of deep and sultry jazz and contemporary groove in his music. His life’s journey of urban or urbane - a story of migration from the West to the South - resonates in his music, which creates a conscious dialogue between West African and South African sounds. The path to a new and culturally integrated Africa in which a common heritage is reinforced to meet the needs of today's world is what this musical fusion demonstrates . A quest for African unity is at a time when he believes Africa should claim its rightful and proud place in the world. His own interpretations of South African gospel music through collaborating with other artists on Loxion praise. Femi Koya’s debut album “Just in Newtown” is evidence of the rich melodies that result from this fusion. “Iba” meaning “Homage” is the title of Femi Koya’s new album due to be launched in August 2015. 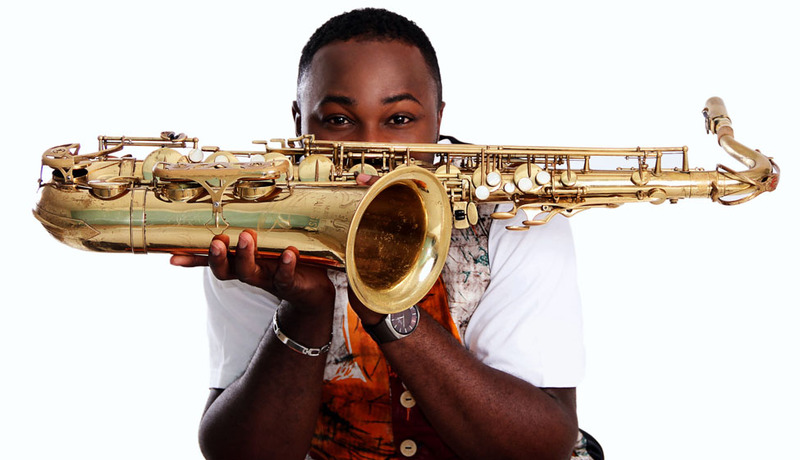 Through versatility on the saxophone, he breathes new life into African world music. His new album also calls for African unity and makes a plea for human rights to be respected celebrating Africa’s love of life with infectious dance numbers that bring fans to their feet. Featuring the Soweto Gospel Choir, Pops Mohamed, Stompie Manana, Prince Lengoase and Kenny Mataba and poetry by Pitika Ntuli and Lisa Combrinck. Some of his musical influences namely are Fela Kuti, Bob Marley, Manu di Bango, Hugh Masekela, Baaba Maal and Salif Keita. Seeing himself as part of the new Africa on the move where home is a multiplicity of places and influences, believing that Africa will have its true homecoming when people see themselves as first and foremost African. He will continue to make music suggestive until this homecoming and what the future holds if Africans unite. It is, he says, our destiny. As a child his love for music began when he danced around the village when the traditional drummers played in his father's compound in Akio town, Ikorodu Lagos Nigeria, He then started playing trumpet as a choir member in his local church and dabbled in the piano. He soon discovered that his first love was for the saxophone. He has shared the stage with Youssou N’dour and Yvonne Chaka Chaka at the CAF (Confederation of African Football Awards) in Lagos and with John Legend in his first South African tour in Cape Town. He performed alongside the king of Juju music, Sunny Ade, at the Glo launch in the Republic of Benin. Other colourful festivals felt Femi Koya's hypnotic music, where he performed alongside the great Lucky Dube, Wynton Marsalis, Oliver Mtukudzi, Habib Koite and Sibongile Khumalo. He has recorded with Simphiwe Dana, Pops Mohamed and Yvonne Chaka Chaka to mention a few.